A couple of nights ago I spoke at Soul Sessions – an intimate cafe experience which is the brain child of Sydney based journalist Eloise King. Wow – what can I say? There were three of us speaking at the “Hey Ladies! Get Healthy” session on the 4th August and it was an absolutely brilliant experience. With an audience of gorgeous, aware women, we shared our stories, our knowledge, our hearts and created an event to remember. Naturopath Emma Sutherland was the first speaker and she discussed the importance of detoxification – a subject I LOVE! I found myself agreeing with her throughout the hour, she touched on many of the topics I explore at my retreats – and even though we have travelled different paths to end up where we have, our conclusions are pretty much the same. Emma is an entertaining and informative speaker and has a beatiful style and presence that shines through everything she says. This is one lady who walks her talk! Then it was my turn and I spoke about the Emotional Aspects of Healing, and how important it is to heal the emotional level and address our trauma’s, hurts, negative self-talk, limiting belief patterns and unresolved issues in our path towards wellness. This is an area that I continually work on, having suffered many a trauma in my earlier years that have had a profound influence on my life. The ways in which I have addressed these problems has taken me on an incredible journey that is far from over! To finish the evening, Dr Sherrill Sellman took the floor, and rounded off the session with a powerful message for all the ladies there – that our health is in our hands, and that the knowledge on how to take care of ourselves is available and empowering. 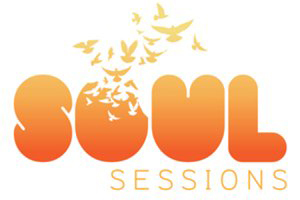 If you live in the Sydney area, I urge you to check out the Soul Sessions - they are a great evening out, and the different speakers being showcased are just a treat. If I lived in Sydney I’d be going along to every one!